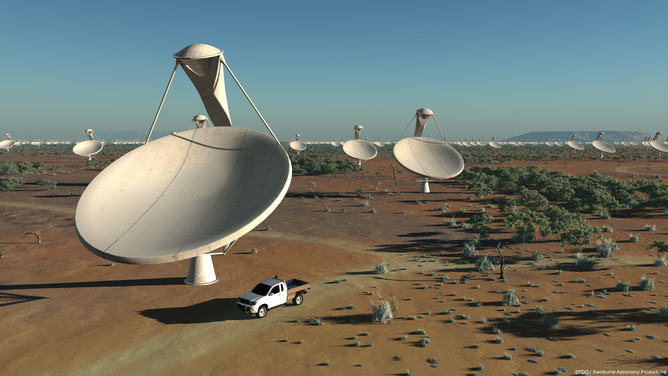 The Square Kilometre Array will be the world’s largest telescope with thousands of dishes in Australia and South Africa connected by fibre optic cables that will require capacity greater than the total internet traffic of the world. The antennas will be arranged in five spiral arms extending to distances of at least 3 000 km from the centre of the array. 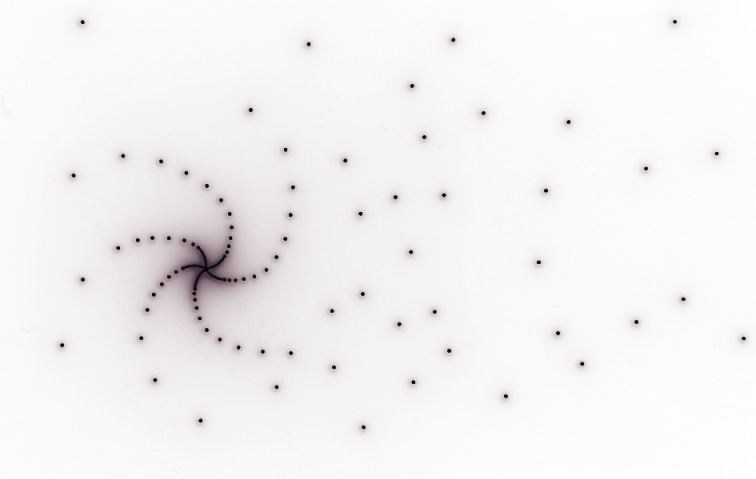 The spiral layout has been chosen as this gives many different distances (baselines) and angles between antennas resulting in very high resolution imaging capability. The perfect layout would be a random arrangement that maximises the number of different baselines and angles between antennas. However the practicalities of construction, as well as linking the antennas together with cables, mean that the spiral configuration is the best trade off between image resolution and cost. It will be able to survey the sky 10000 times faster than before.